On my recent surf trip to Puerto Rico, I packed a few essentials from local NYC surf business like EiR NYC Surf Mud to protect my skin from the strong Puerto Rican sun. I left after eight days of full sunlight with a bit of a glow but no burn thanks to EiR NYC. We spoke with the founder Jun Lee about how the line came to be and the process behind the natural skincare line. How did you start EiR NYC? The concept for EiR was born in 2012. I was experiencing frequent soreness and minor injuries as a result of some intense training so started looking for products I could use long term which would enable me to bounce back and continue my active lifestyle. 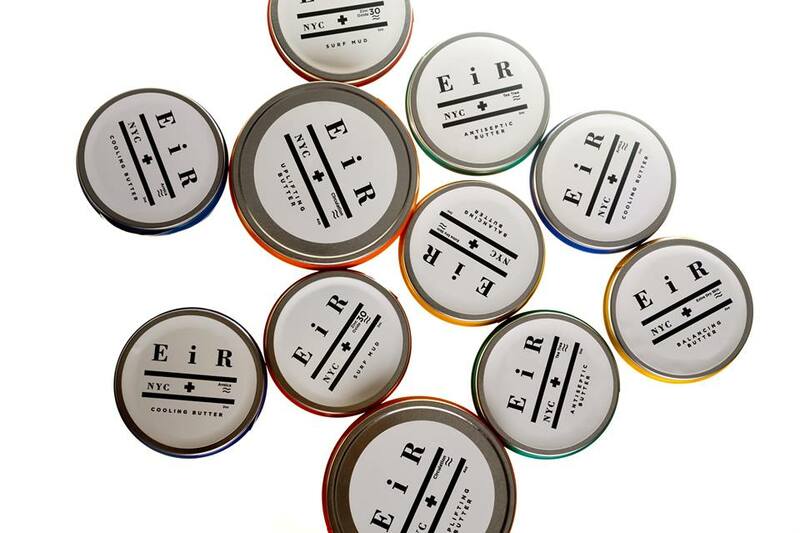 When I couldn’t find anything I liked on the market, I decided to make them myself, and EiR was born. Tell us a little about the product development process? Did you test out several ingredient options to find the perfect combos? The surf mud was an incredible one shot deal. I knew exactly what I wanted in the product: wanted something I could wear surfing that stays on!, something moisturizing and hydrating. SInce I have sensitive skin and easily breakout, I wanted something antiseptic (tea tree did the trick). The other products took a lot of tweeking. The butters are hand whipped and is so luxurious on the skin. Took few tries to get the consistency we so love now. I recently took a trip to Puerto Rico to surf and used your Surf Mud with Zinc Oxide…it was amazing! How important is the quality of your ingredients to you? I am a stickler for fine ingredients and am obsessed with my skin. I love the sun but would do anything to keep my skin hydrated and have minimal sun damage. We believe that, like food, fine good quality ingredients make even the simples food taste good. Not saying you should eat the surf mud, but because we use clean natural ingredients, you can trust that what gets absorbed into your skin and body is nurishing. 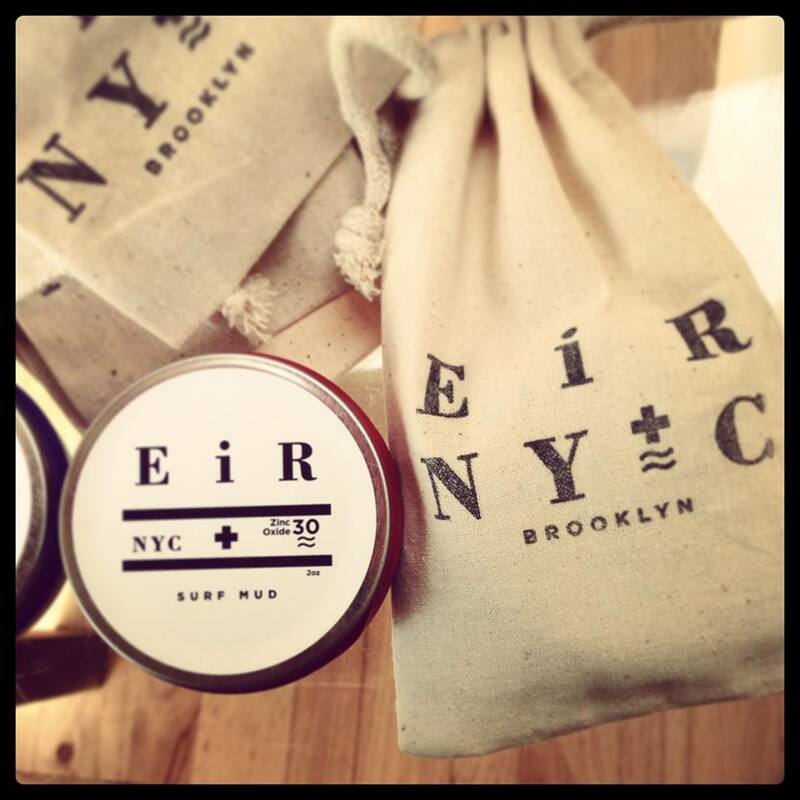 What’s next for EiR NYC? We are re-launching this spring/summer with new additions to the line. Stay tuned, next season for gorgeous bikinis! You’re a surfer – how did you start? I have been an athlete all my life. 6 years ago, I had an accident which led me to retire from being competitive Muay Thai fighter. I had lots of time in my hands, and picked up surfing in Montauk. 2 shoulder surgeries and 55 stitches to my hip later, I’m still in love with surfing and Montauk.